Nov. 5, 2018, 9:43 a.m.
By Paul Resnick Nov. 5, 2018, 9:43 a.m. It wasn’t a paid ad, or even recommended-for-you content — it was shared by someone you know. The link didn’t take you to InfoWars or Occupy Democrats — you would’ve noticed that. Maybe it went to Western Journal or another unfamiliar domain whose name sounds legit. Did you comment on it or retweet it? State-sponsored cyberwarriors and deep-pocketed influence campaigns spread plausible misinformation — what I like to call “iffy” content — as a cost-effective way to advance their social or political cause. Others spread misinformation just to earn ad revenue. Meanwhile, the big social media platforms struggle to implement fair editorial practices — disclosures and demotions, blocks and bans — to attenuate the spread of misinformation rather than amplify it. We compute a daily “Iffy Quotient” — the fraction of the 5,000 most popular URLs on each platform that came from a large list of sites that frequently originate misinformation and hoaxes, a list maintained by Media Bias/Fact Check. The Iffy Quotient is a way for the public to track the platforms’ progress — or lack thereof. Why did things get bad back in 2016? One reason for the uptick is that users are more politically activated during an election cycle. That boosts interest in political news — especially in sensational political news. Supply rises to meet that demand — from legitimate sources but also from both propagandists and opportunists seeking ad revenue. What’s different? We can’t tell for sure. Perhaps the suppliers of such content lost interest, though that seems unlikely. Perhaps the American public got more sophisticated and is less prone to click on or share links to iffy sites. Sadly, that also seems unlikely, though it is a nice long-term aspiration. Facebook has also actively tried to reduce manipulation opportunities by removing fake accounts — 583 million of them in the first quarter of 2018. In addition, in December 2016, Facebook announced a partnership with third-party fact-checkers, sending them questionable stories and showing lower in the feed those that the fact-checkers labeled as false. On Jan. 11, Facebook announced that it would reduce the reach of all public external content, in favor of native posts from friends and family. On its own, that wouldn’t affect the Iffy Quotient, which is based on whatever public content is most popular. However, that announcement and one the following week also implied other changes that might have affected the Iffy Quotient. One was prioritizing content around which people interacted with friends; it could be that people interact less around content from iffy sites. Another was prioritizing news that the community rates as trustworthy, that people find informative, and that is local. Media companies already maintain internal suites of metrics, such as monthly pageviews, clickthrough rates, dwell times, and ad revenue. These metrics strongly influence decisions about changes to products and policies. Typically, product managers are rewarded for improving some primary metric, subject to the constraint that there is at most a modest decline in other metrics. In the 2016 election season, Twitter and especially Facebook performed poorly, amplifying a lot of misinformation. In the 2018 cycle, Facebook has performed somewhat better, but Twitter needs to up its game. Facebook, I salute you. For now. But we’ll keep watching, and you can, too. Paul Resnick is a professor of information at the University of Michigan. This article is republished from The Conversation under a Creative Commons license. Fake news illustration by Filip Jovceski used under a Creative Commons license. POSTED Nov. 5, 2018, 9:43 a.m.
Resnick, Paul. "Unlike in 2016, there was no spike in misinformation this election cycle." Nieman Journalism Lab. Nieman Foundation for Journalism at Harvard, 5 Nov. 2018. Web. 20 Apr. 2019. Resnick, Paul. "Unlike in 2016, there was no spike in misinformation this election cycle." Nieman Journalism Lab. Last modified November 5, 2018. 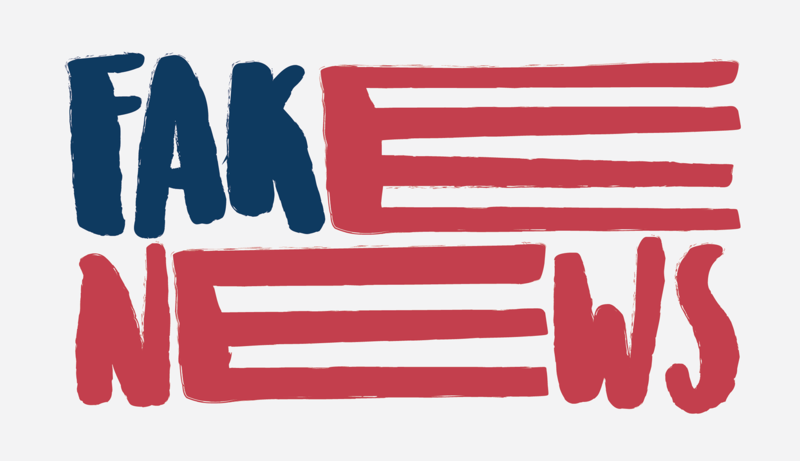 Accessed April 20, 2019. https://www.niemanlab.org/2018/11/unlike-in-2016-there-was-no-spike-in-misinformation-this-election-cycle/.